The Crimes of Grindelwald, the second film in the Fantastic Beasts franchise, premiered on Nov. 16. 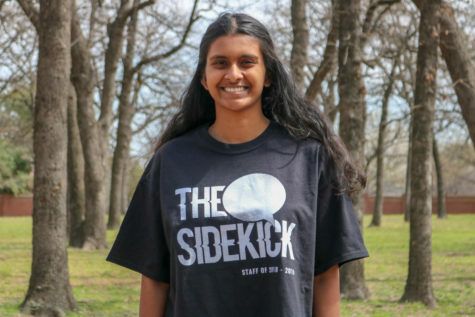 To The Sidekick Copy Editor Pramika Kadari, the film was largely a disappointment, lacking in character development and littered with plot holes. In Harry Potter and The Deathly Hallows, after Hermione Granger’s love interest Ron Weasley deserts her, she stands her ground and continues supporting her best friend, Harry Potter. In Fantastic Beasts: The Crimes of Grindelwald, which premiered on Nov. 16, after Queenie Goldstein’s three-month boyfriend refuses to marry her, she first tries to magically drug him, then throws a fit, runs away to Paris and cries in the rain. This is only one of the many reasons the film disappointed me. What did you think of the The Crimes of Grindelwald? 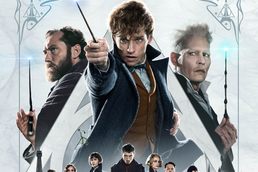 Even before its first trailer dropped, The Crimes of Grindelwald, the second movie in a spinoff series set in the same world as Harry Potter, provoked negative discussion, largely due to the filmmakers’ cryptic remarks that the film would not portray certain characters’ LGBT relationship as explicitly as expected. It’s true. 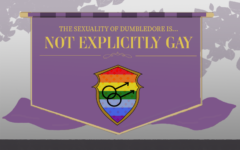 Albus Dumbledore and Gellert Grindelwald’s sexualities are not depicted as explicitly as they should. The former says they were closer than brothers, and the two share flashbacks that could be interpreted as intimate, but why is the nature of their love being left to interpretation at all? Why is the movie merely dropping hints, which could be overlooked by those who choose to overlook them, rather than putting its foot down and declaring Dumbledore was in love with Grindelwald? Dumbledore is one of the most complex and interesting characters from the original Harry Potter books, which is why my hopes for The Crimes of Grindelwald were high. 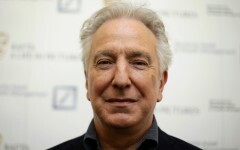 But he is a disappointment – along with the rest of the cast. An overload of plot twists, subplots and special effects shove character development out of the picture. A plethora of characters are introduced in numerous different locations, leaving the audience with little time to bond with any of them. The result? I did not care what happened in the film. As ferocious cats chase Newt Scamander and Tina Goldstein, his love interest, I was more focused on the food the theater staff had just delivered to my seat. As tears streamed down Queenie Goldstein’s face, my eyes began drifting shut from boredom. Scamander, the franchise’s supposed protagonist, fails to play a central role in the story; the plot would have progressed similarly if he ceases to exist. Leta Lestrange’s dynamic history gives her potential, enhanced by Zoe Kravitz’s stellar acting, but screenwriter J.K. Rowling destroys that potential when she rushes through Leta’s backstory and then kills her off without further expansion. On top of all this, the film is littered with plot holes of varying magnitudes. How did Jacob Kowalski retain his memory despite having it wiped through the obliviate charm? He claims it is because the charm only affects “bad” memories, but this is not the case throughout the Harry Potter series. The Crimes of Grindelwald is set in 1927, several decades before the Harry Potter series, but somehow Harry Potter’s Minerva McGonagall is already a professor at Hogwarts School of Witchcraft and Wizardry, despite her birthdate being Oct. 4, 1935. The moment I saw her on screen, I was confused, so how did none of the filmmakers catch the mistake? 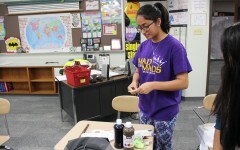 Despite these issues, the film has a few positive aspects. Scamander’s reluctance to pick a side throughout most of the story is interestingly refreshing, as most main characters often automatically defend the “good” side and fight the “evil”. Atmospherically, the film’s eloquent color tones, costumes and set designs entice viewers. But neither of these pros are striking enough to redeem the cons. Milking the beloved Harry Potter series through the horrendous script The Cursed Child is the biggest mistake Rowling makes with her writing, but continuing that milking with a five-part Fantastic Beasts series is almost worse. Rowling needs to respect the rich fantasy world she created and leave it be.